It gets full with only one? psh, you have to push them down. you’ll fit like 10 of them in there then! 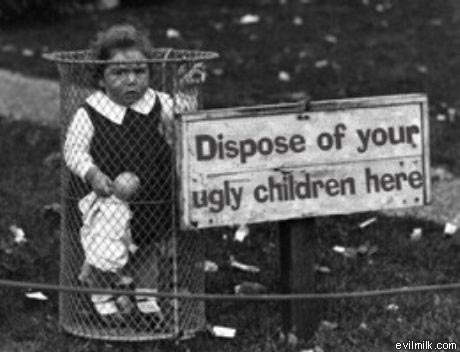 State of Nebraska’s first attempt at baby-deposit laws. I just don’t get how anyone thought it would be ok to drop off teenage kids under safe haven. What must those kids have been thinking? This isn’t a teenager though, it’s much worthless. It’s an ugly child.